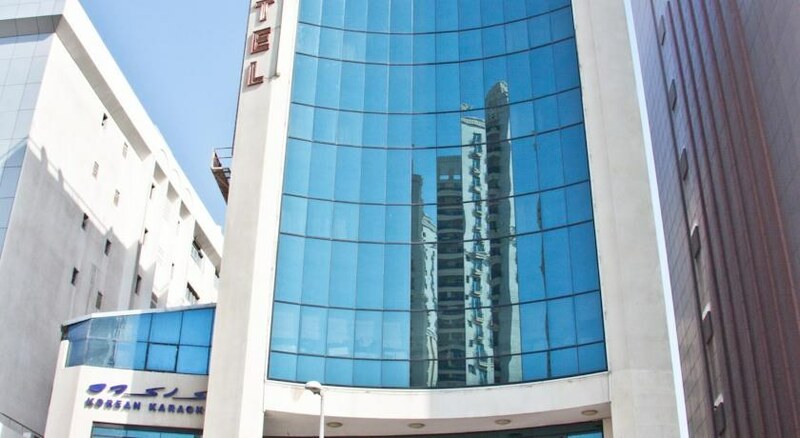 Opened in 2001 under the Ramee Group, the Regal Plaza Hotel is a business class spa hotel centrally located in the heart of the commercial, financial and shopping district of Bur Dubai. The hotel is a 15-minute car journey from Dubai International Airport, the International Convention and Exhibition Centre and the World Trade Center – plus bustling Downtown Dubai is within easy reach, too. 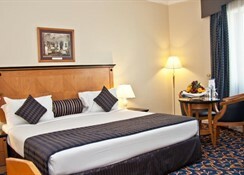 Regal Plaza Hotel has everything a discerning guest could wish for in terms of luxury and comfort. The 87 guest rooms offer a home-away-from-home feel, with modern amenities and contemporary décor matched with spectacular city views. The Regal Plaza Hotel features a sun terrace and swimming pool area perfect for soaking up the sunshine, plus a fitness centre and full-service spa. The hotel features a variety of dining options, including three delicious restaurants and two upbeat bars to unwind in once evening rolls around. 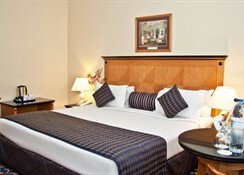 Set on a bustling road in the district of Bur Dubai, this hotel is a 7-minute walk from the nearest metro station, 3km from the Dubai Museum and 10km from popular The Dubai Mall. The green line Al Fahidi Metro Station is just 50m from the hotel’s doorstep, also, making it a great base if you wish to explore the surrounding resort. 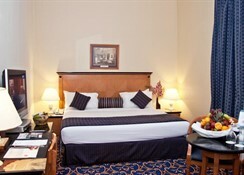 All rooms are tastefully decorated, comfortable and spacious. The 87 accommodations are each equipped with modern amenities such as air conditioning, LCD TV, electronic safe, mini bar and internet access. Each room additionally features an en-suite bathroom with shower, bathtub, hairdryer, a double or king-size bed, tea & coffee making facilities, air conditioning and individually regulated heating. The Regal Plaza Hotel houses three restaurants – Royal China, Bollywood Café and Kalpaka. While Royal China is a speciality restaurant that offers a wide range of cuisine from Indonesia, Vietnam, Japan and Thailand, it also serves delicious sandwiches and snacks along with coffees and fresh juices. Bollywood café serves the finest Indian cuisine and authentic grilled delicacies, also doubling up as a nightclub playing popular tracks from top Hindi movies. Kalpaka is located on the ground floor and serves authentic delicacies from Kerala. 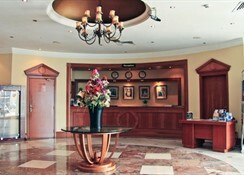 Rockafellas and Good Fellas are the hotel's laid-back lounges. Start your day with an energising workout session at the hotel's fitness centre, or a relaxing dip on the sun-kissed rooftop pool. Other leisure facilities at the hotel include a sauna, steam room and massage room, plus you'll find plenty of tourist attractions nearby too.